After we made plans for the new laundry room/mudroom area (you can see those here), we realized we needed to think of a new door situation. Our current door swings left into the room which felt like it could get a little cramped to us. Especially since that would be the mudroom side of the small room and we didn’t want to sacrifice any space on that side or dance around a door when trying to get a hat or something. 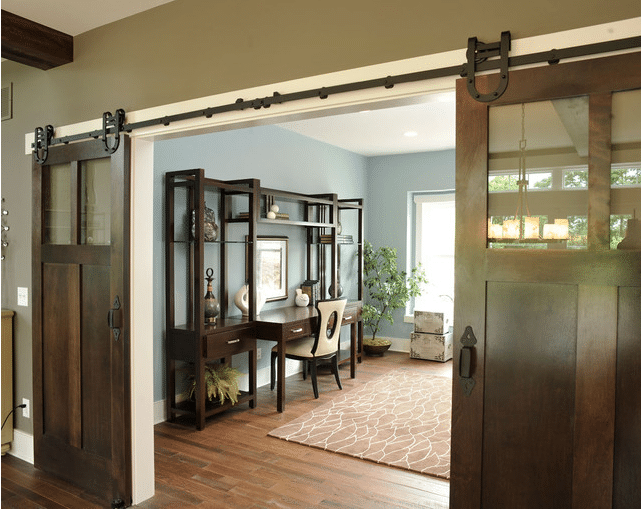 We thought a pocket door could work, but that would require moving a lot of electrical lines and that’s how we landed on the ever-popular barn-style door. I have to admit, Chris has been pushing me on one of these for 2 years now and I have been resistant. I have been adamant that it actually has to make sense. I don’t want to take off a door just to put in a sliding door for no reason. And alas! We feel we have a really good reason and a perfect spot for one. For the most part the door in this area, from the kitchen to the laundry room, is open so it will be nice to have the door double as something pretty on the wall in the dining room (the pictures will go). 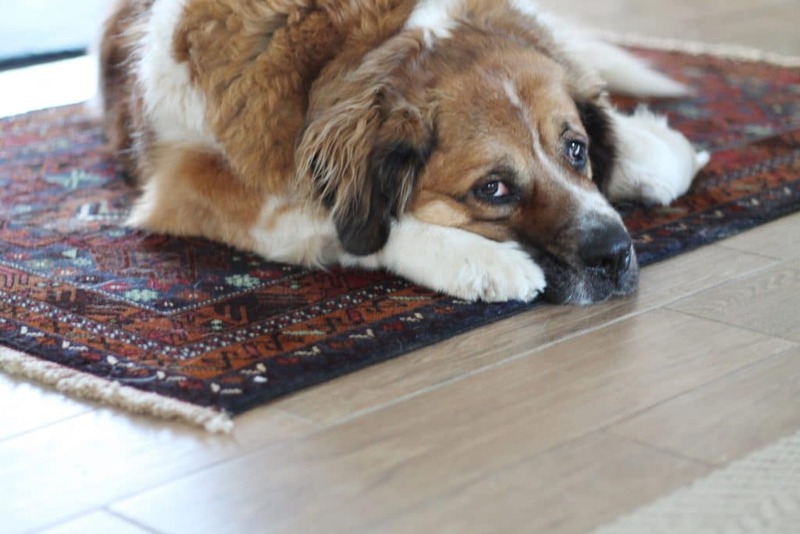 But when it is closed–when the laundry is running, or Charly needs to be in a room while certain guests are over–we are needing to have a functional door in those instances. Form + function is the sweet spot in this case. 1. 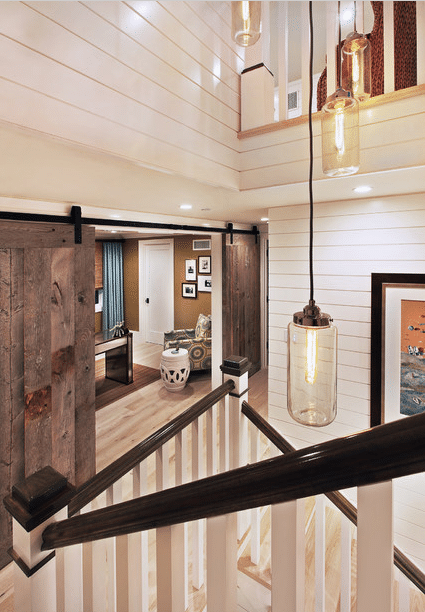 This one seems easily DIYable and since we’re planning on planking all the walls in the mudroom/laundry area my eyes lit up when I spotted this photo. 2. A darker, rich walnut would look so pretty next to our floors. 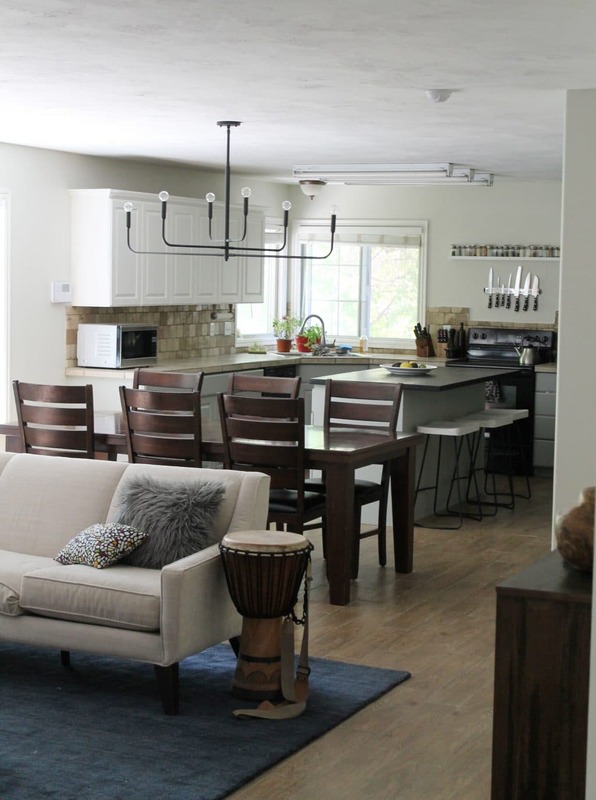 And the simple shaker style keeps things modern. 3. Go wide (and DIY friendly) or go home? 4. Doors like this don’t just show up in salvage yards in Idaho or hopefully anywhere!, but this is the dream! 5. I am fairly certain we’ll go for wood-toned, but this white ones feels so fresh. 6. Painted would be a fun accent, too! 7. I believe this is the real thing…or an old garage door. 8. The tones in this one remind me a lot of our floors. 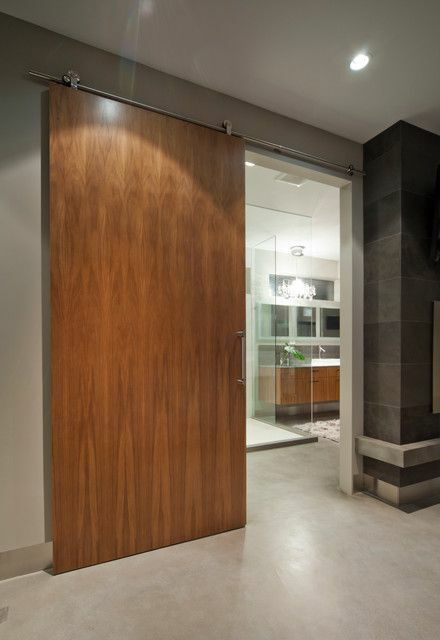 I think we want the door to be a little richer for contrast, but this is so clean-lined–I love it! 9. 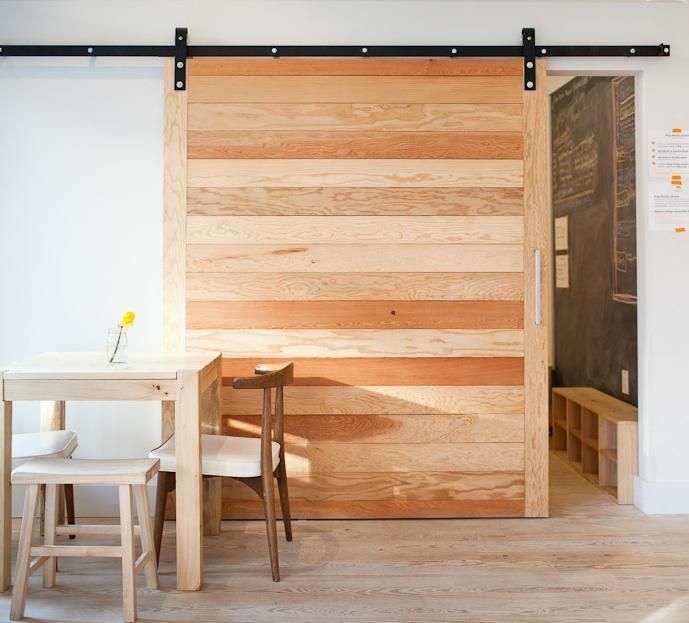 I mean, maybe the easiest DIYable door ever, and in wood it is so perfect. 10. I could get down with 5 panels like this! 11. The hardware screws are a little flashy, but the door is wide and glorious. 13. This one is borderline not-my-taste, but I love the windows up top! 14. 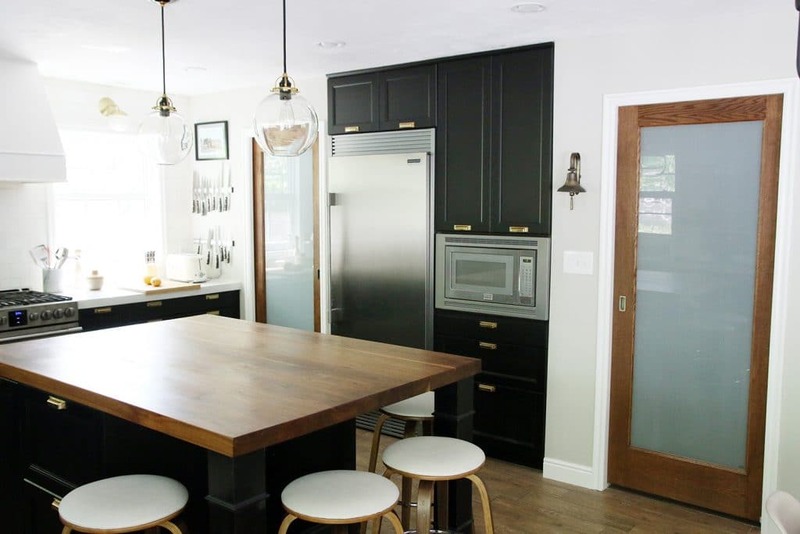 Not sure what is going on in some of these panels, but I will always love a black door. 15. The hardware adds so much here. 16. Beyond lovely and dripping with inspiration. Talk about form meets function! 17. 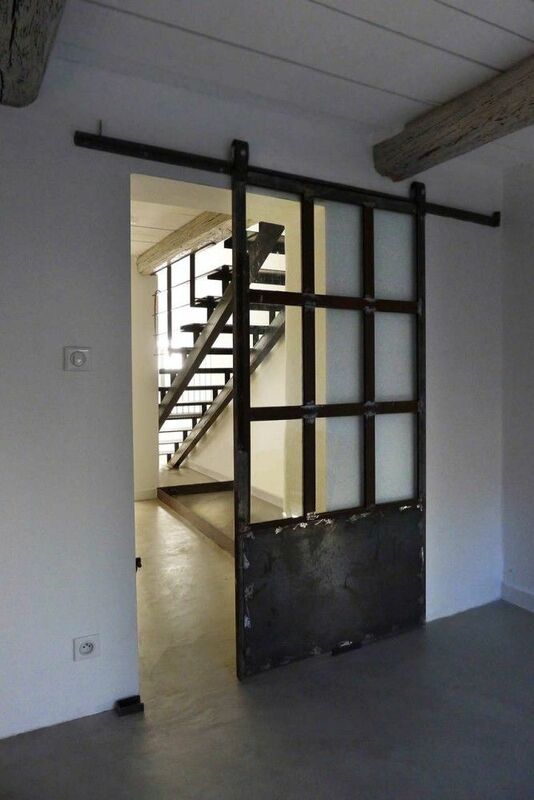 Seeded glass and panes and wood and industrial hardware. It’s so good. 19. I kind of don’t know what I’m looking at here, but it’s so sweet, I love it. 21. I am fairly positive my little city doesn’t have anything as cool–not even close–in their thrift stores, and I’m not sure my house is even rich enough for such a door, but it is still a beautiful option. 22. Great juxtaposition in this space. 23. 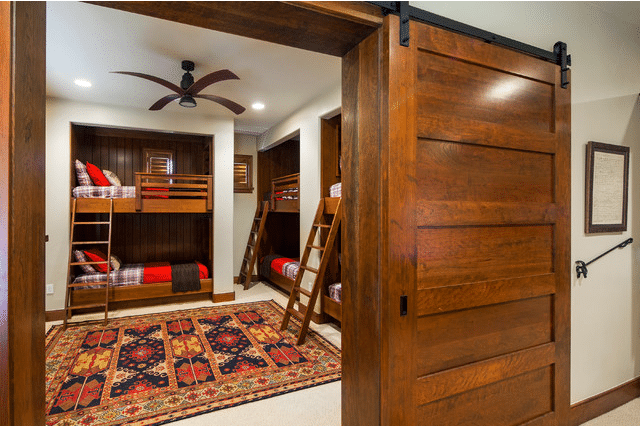 When I was little, I swear my closet doors looked just like this! Minus the cool track and amazing handle. And doesn’t the stainless hardware finish look so fresh? 24. Maybe too industrial, but still so chic. 25. Matte black on matte black (on black). I like. Which is your favorite? Chris said he likes #2 and #10. I am liking #2 as well and #16, but I am digging some of the simple wood ones as well. I have a feeling we’ll end up DIYing a door, but we are going to scour all the classifieds and salvage yards and thrift stores in our area first–just to see if we can find a gem. Stay tuned, we’re so excited about this project. And have a happy weekend! What are your plans? « The Fence is Done! 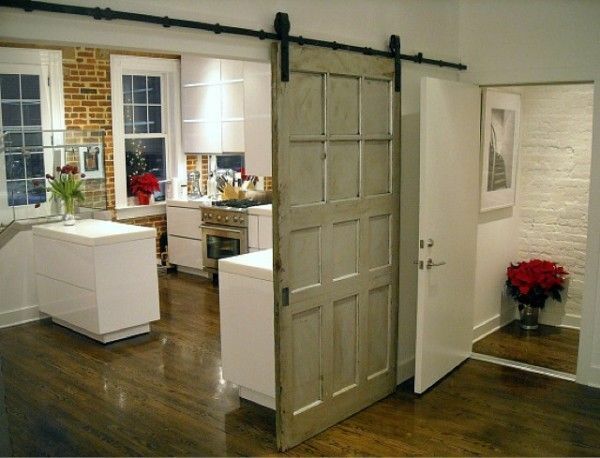 I can find every kind of barn door hardware imaginable but finding the actual doors is nigh on impossible. Do you have connections for suppliers who create tall enough slabs to cover doorways? I’d certainly appreciate any contacts you may have. Thank you! I’m not sure! These are just inspiration photos. Love, love, love 17! Do you know where they can be purchased? where can I find #17? I would like to order #17, please send a link or vendor info. 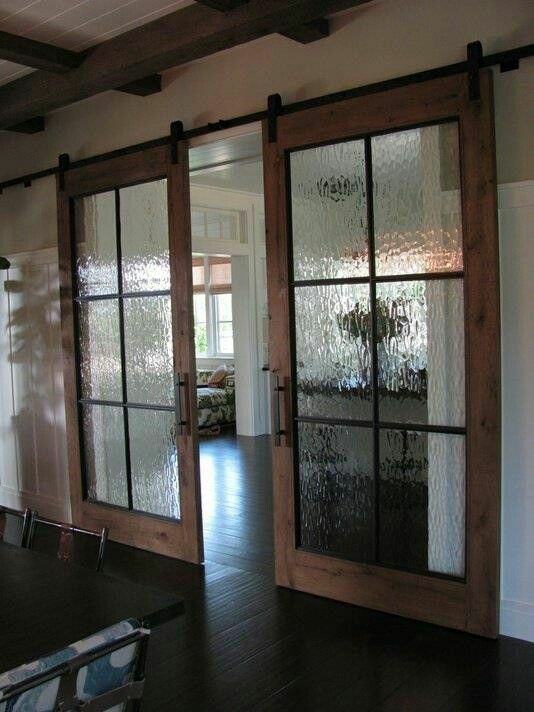 I am doing this with French Doors I left out in the yard for a year. Browsing for hardware I like, though. I already have 15 pocket doors in my house, which have been replaced with refinished to raw wood and/or antiqued, 5-panel doors like #10. LOVE them and their character. Hope you’ve completed your door project. I’m going to browse around some more to see what you’re doing! You should check out Basin Custom. Based in Southern Idaho (Burley) they have great stuff and do custom work. 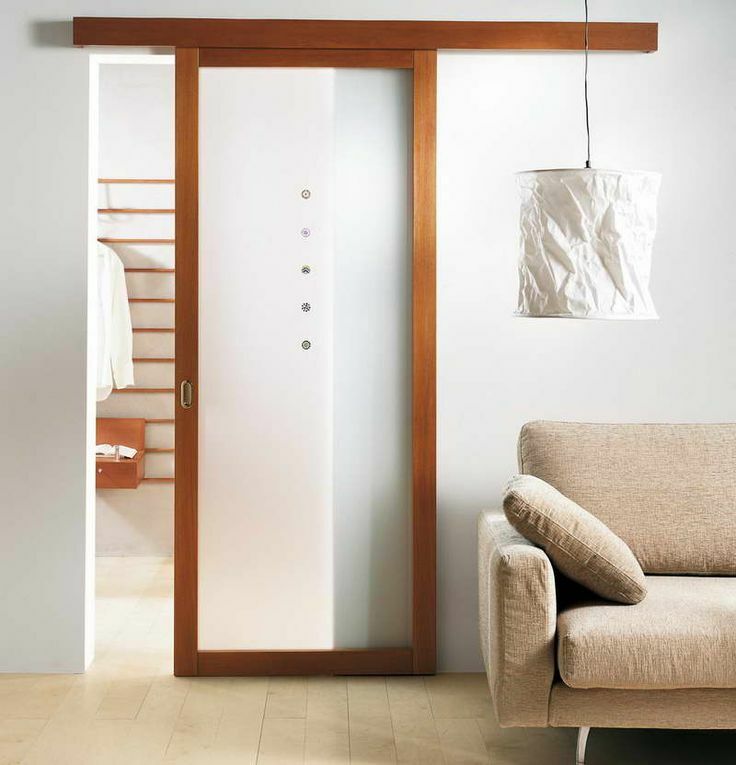 Have you thought of a wild west style swinging door for that area? Also called a saloon style door. Some of them are full length and some others are only mid length (were you can see the persons shoulders/head and legs/feet. The mid-length ones wouldn’t keep out any sound, but it would make the area look larger/more spacious and it is so easy to walk through. It is also much different from everything else going on in the design world. I like a lot of them but I think my favorites are #3, #6, #10 & #12. “Alas” is an exclamation used to express sorrow or disappointment. #2 for the win. Or #9 if you can’t find any. Happy weekend back at you. 16 is definitely a favorite of mine, but I don’t know how it would fit in the kitchen. 17 reminds me of your last kitchen! The pantry door! I really like 17, too. 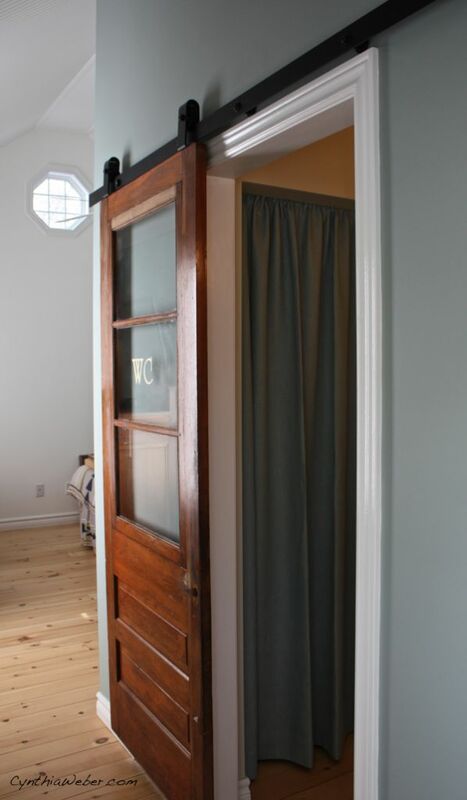 I love the barn door look and when a client asked for a rolling WC door I bit at the chance! 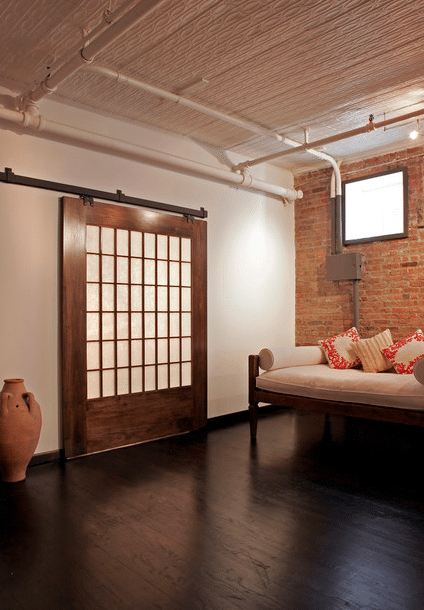 We recently found a wonderful barn door with the original hardware… I can’t wait to find just the right place to use it! Can’t wait to see this, it will be awesome ! Love many of them, #3 and #9 are my favorite. Have a happy week-end, too. 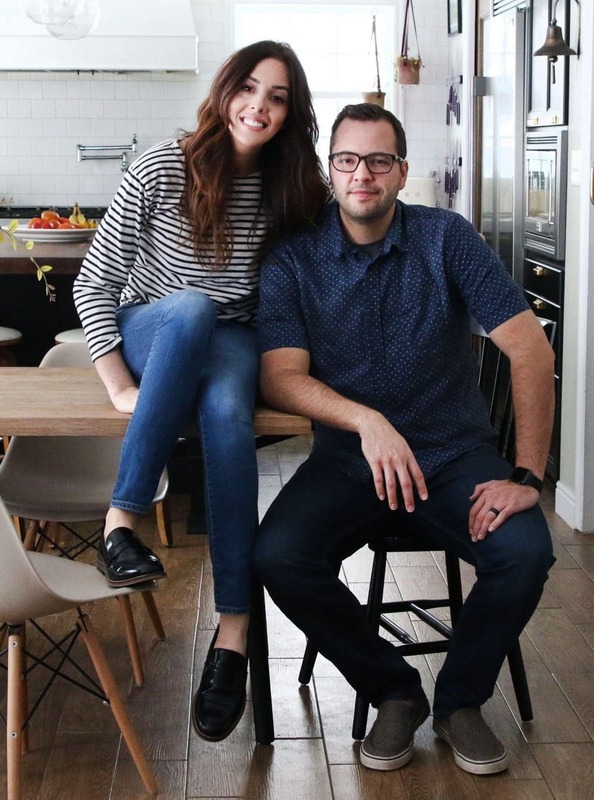 #14 is my friends salon in Salt Lake City (Ulysses). 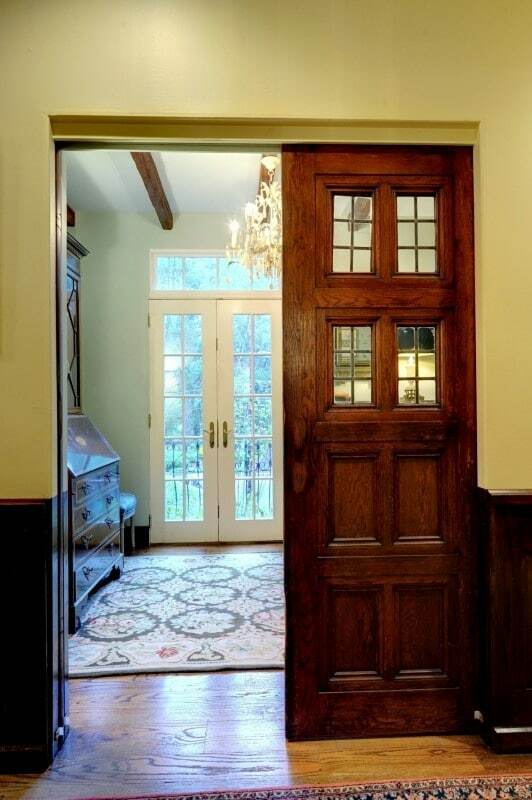 I think the warping of the wood in the door just gives it even more character. You found so many great ones! I can’t wait to see what you come up with for your home. I love #16 (of course!) but I wouldn’t have the faith to properly execute a DIY version! Haha but I also really like the clean style of #8– the horizontal wider boards with the simple, thinner border is so modern looking to me. I think it would look awesome in a darker wood tone to give contrast to the floors! 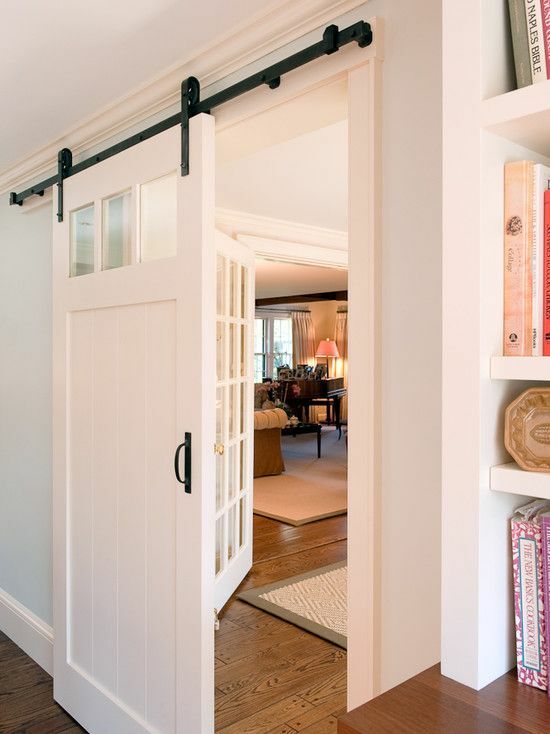 I love barn doors, but I just don’t think they’d make sense in my home. I’ve thought about adding one to the play room in the basement when we finish that space, but then it would take up room on the wall that I might need/want for decor or storage. I’m excited to see yours come together! I love each one in its own way. We are currently trying to figure out a style for our master bath. I love #16 since it is one I have not seen before. Not sure if I could accurately router such a design, but I’m sure you guys could. ;) Can’t wait to see what you come up with. This is such a fun but practical idea! I’m excited to see what you come up with. I’m love #2, #16, and #17. I might have to do this with my laundry room. We currently can’t close the door because our new washer sticks out too far. A barn door would be a good solution. Thanks for all the inspiration! I love so many of these. 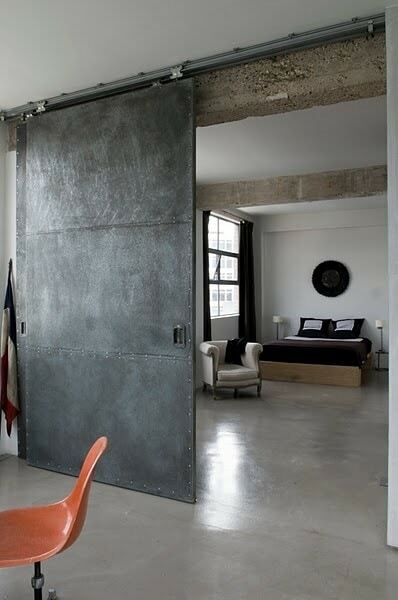 I hope I have a space in my future home for a barn door. Several of these would look great in your house but I really love number 16 for your house. 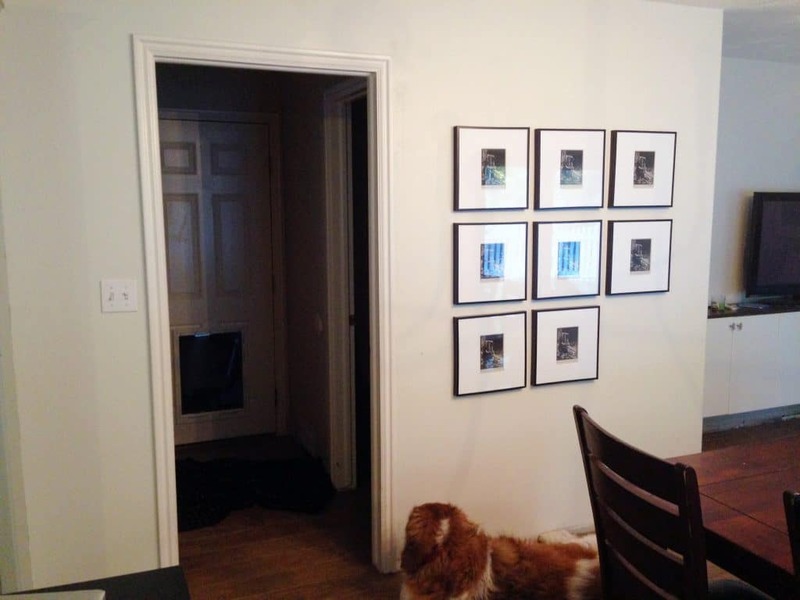 You just need to check Katie Bower’s blog (bowerpowerblog.com) She just posted a sliding door she DIYed 10 days ago.